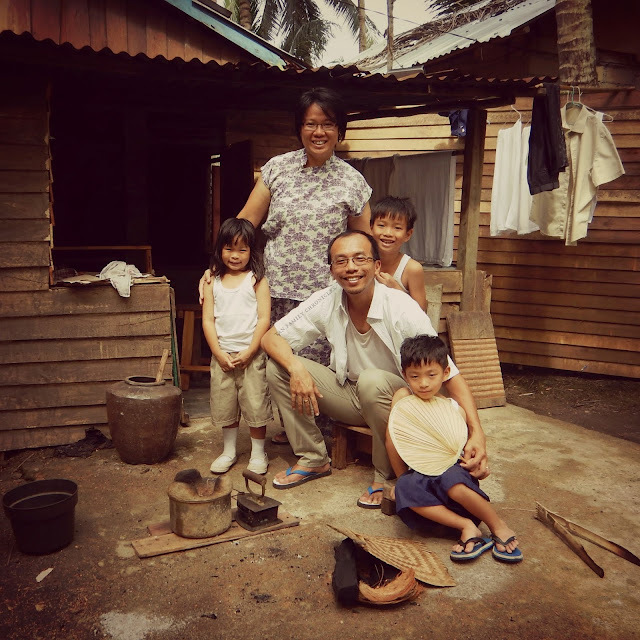 We're the Tan Family of Throwback: Balik Kampong! Click here to watch, if the above video doesn't load. Q: Did you all really cut those men hair? A: Yes we did! Think we all had fun cutting the men's hair. Though I can't say the same for the men who got their hair cut by us! Q: Do the kids remember how to speak Malay? A: Yes, they do remember bits of what they have learnt in the Rozz & Fuzz Kampong School - they simply loved going to "kampong school" there as Rozz & Fuzz were such fun teachers to have! Q: How come all the families did not seem to know how to make starch? A: This must have been a sort of test for all three families, because they did not give us instructions on how much starch or water to add, or how long or when to cook the solution, etc. All they gave us was the flour, and told us to make some starch, with no other instructions at all. Q: Did your children quarrel more at the kampong than they do at home? A: Actually, no. It's quite common for the kids to quarrel and fight. We make sure we resolve the situation so that all parties learn from it. They they have to make up and hug each other, and know that despite the fighting and the quarreling, they still love one another and should treasure one another. Throwback:Balik Kampong - the bridal dias the Tan Family worked on! 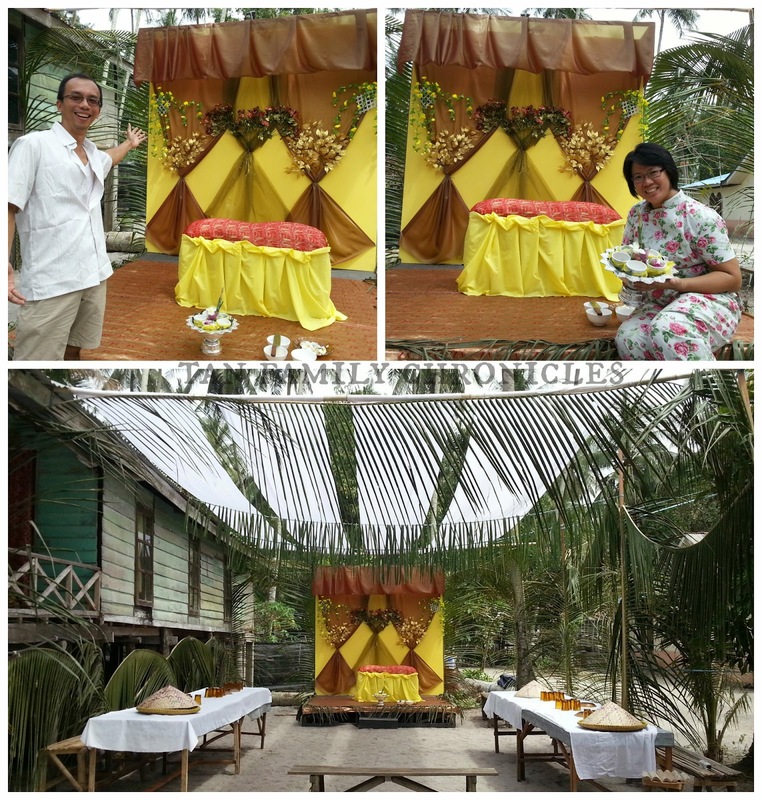 The wedding preparations was very interesting for us, in the sense that we learnt a lot about the cultural customs of a Malay wedding. The Awads and Farzana were naturally more knowledgeable on this topic, so they provided us with interesting stories of their own experiences of Malay weddings in modern day Singapore too. It was quite an experience for me to have that make-up and hair makeover. I've not had make-up and hair done since my own wedding a decade ago, as I usually do not put on any cosmetics at all. In fact, when the kids saw me with cosmetics on, Shawna burst out crying! Isaac stared at me in horror. While Asher assured me "It's okay Mummy, I still love you even though you look like that." 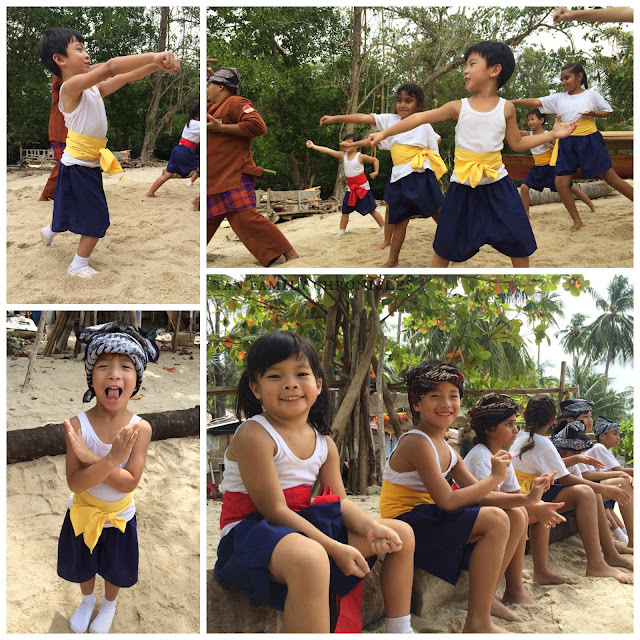 Silat practice was definitely one of the highlights of the entire kampong stay for the children. They really really enjoyed that. Tremendously. When the kids came back from silat practice, they couldn't stop talking about it and couldn't stop practicing what they had learnt. Even now, if you ask them about silat - they get all excited. Pictures taken by the beautiful Rozz! Thanks very much for the lovely pix! The question we still get very often is "Where can we watch Throwback Balik Kampong?" The series has finished airing on local TV, but you can still watch it online at any time! Either watch them on the embedded videos I have here on the blog, or you can watch all episodes of Throwback Balik Kampong - Singapore's first family reality tv series at Toggle.sg. Hope you have as much fun as we do watching the series!